Some memorable peeks from an exhibition I visited last year. 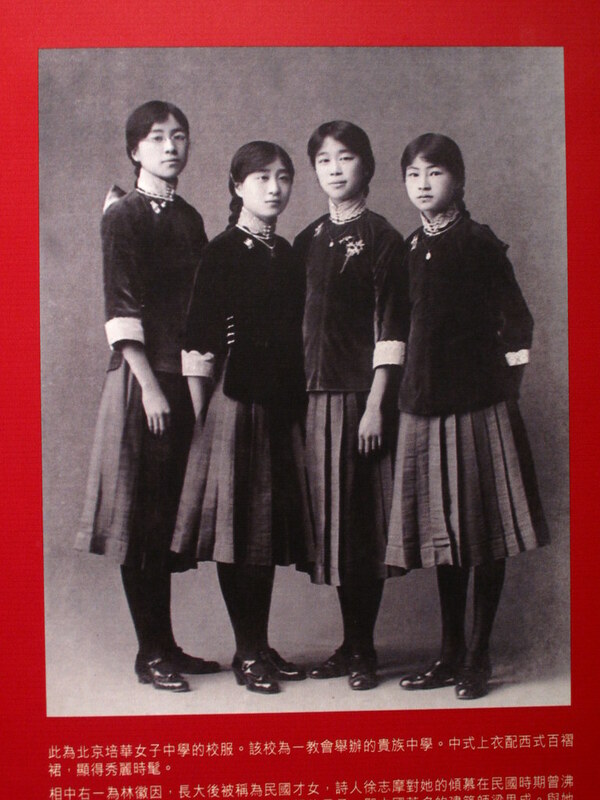 This is a photograph of Manchurian women and Han women from the late Qing dynasty. 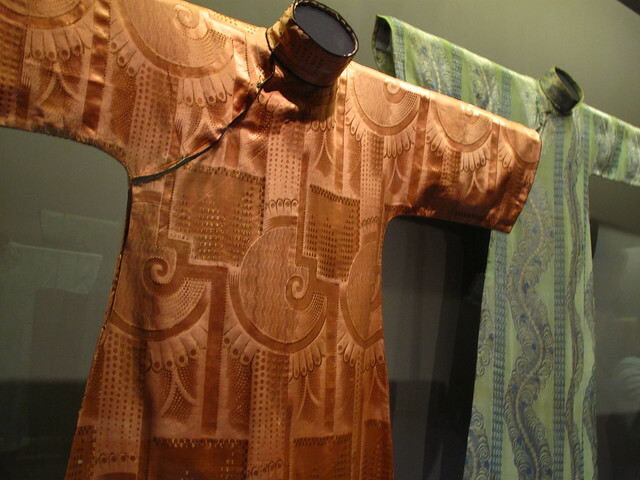 Some are wearing a top longer than the typical Han blouse and one is wearing a shortened Manchurian gown, showing signs of assimilation in fashion. This is the uniform worn by students at the Peihua School for Women in Beijing, an elite Christian middle school. 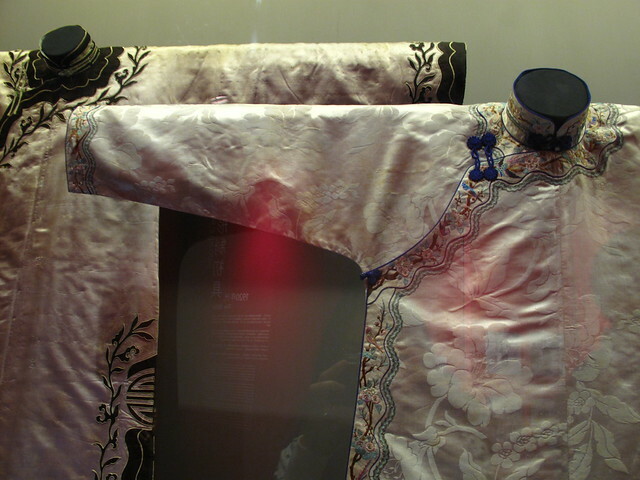 Chinese top matched with western pleated skirt, illustrating an attractive and fashionable style at the time. 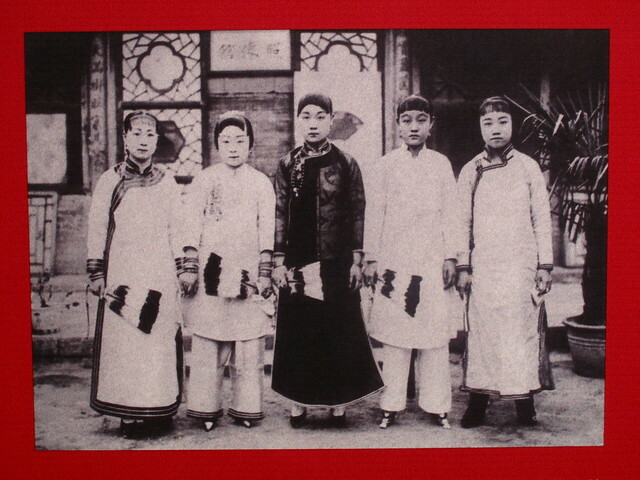 First from the right is Phyllis Lin Whei-Yin, age 12, who would go on to become one of Republican China’s most talented women. Celebrated poet, Xu Zhimo was one of her many fervent admirers. 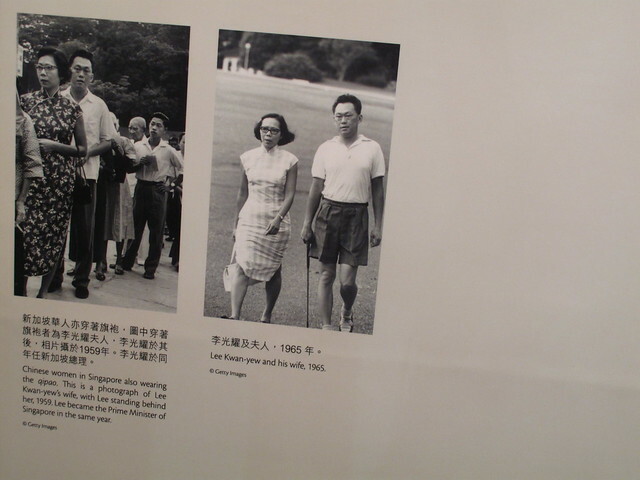 She eventually married renowned architect, Liang Sicheng, the oldest son of Liang Qichao. 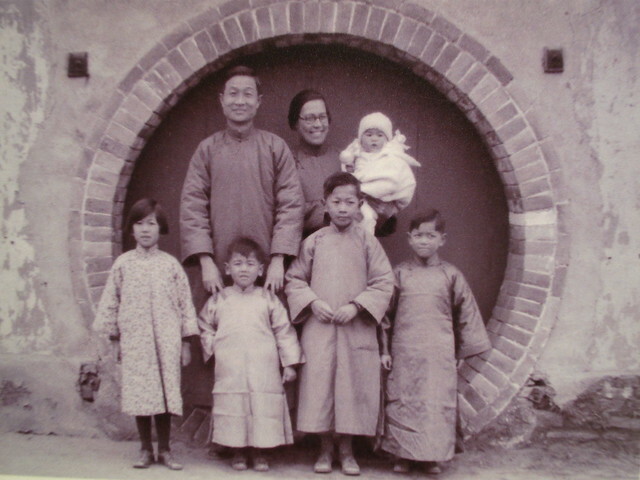 Also in this photograph are Phyllis Lin Whei-Yin’s cousins. I think I much prefer the original qipao, delicate yet dignified and more suited for daily wear. 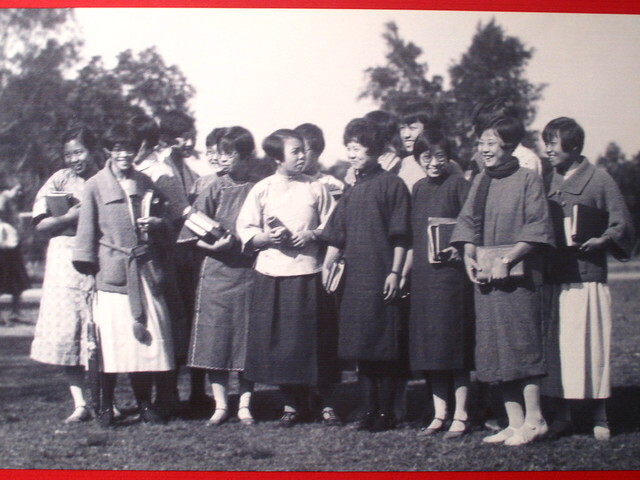 School girls in qipao at the Canton Christian College (later Lingnan University), Guangzhou, 1927. 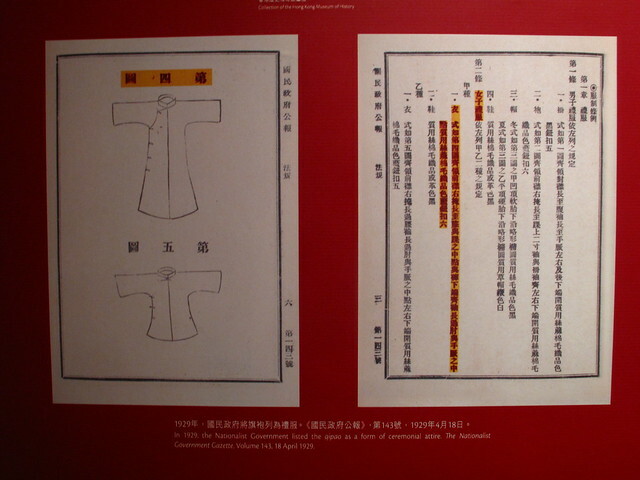 In 1929, the Nationalist government listed the qipao as a form of ceremonial attire. The Nationalist Government Gazette, Volume 143, 18 April 1929. 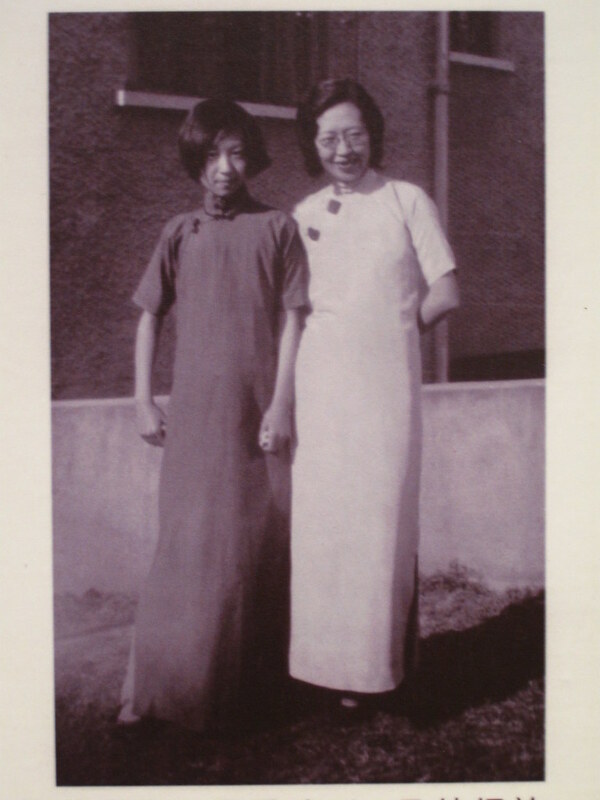 Celebrated writer Eileen Chang (left) and her aunt, 1930s. 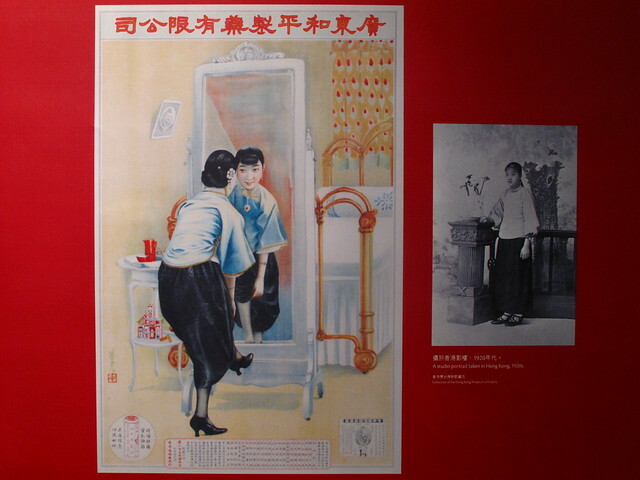 The exhibition featured Chang rather prominently and quoted extensively from her first work in English, Chinese Life and Fashions, a must read for anyone interested in the evolution of Chinese aesthetics against the backdrop of the birth of modern China. This has to be my favorite photo of the lot. I love how the family looks so contemporary, not solely in the way they look but also in their candid expressions. The photo could have been taken just yesterday if not for their outfits. Liu Shaoqi’s wife Wang Guangmei on a diplomatic mission to Afghanistan in April 1966. 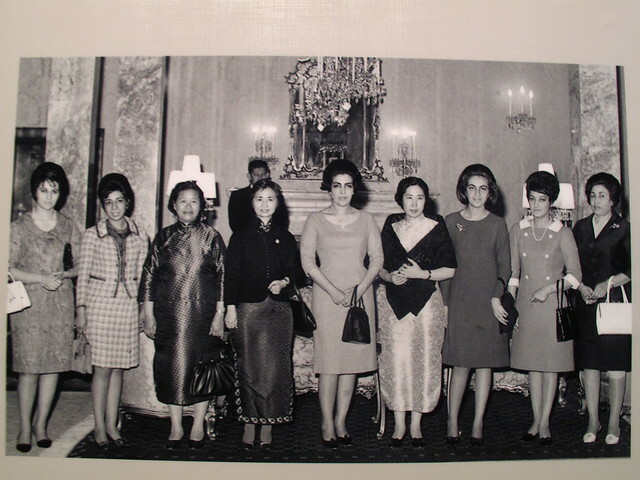 Besides Wang Guangmei, other female members of the delegation are also wearing qipao. 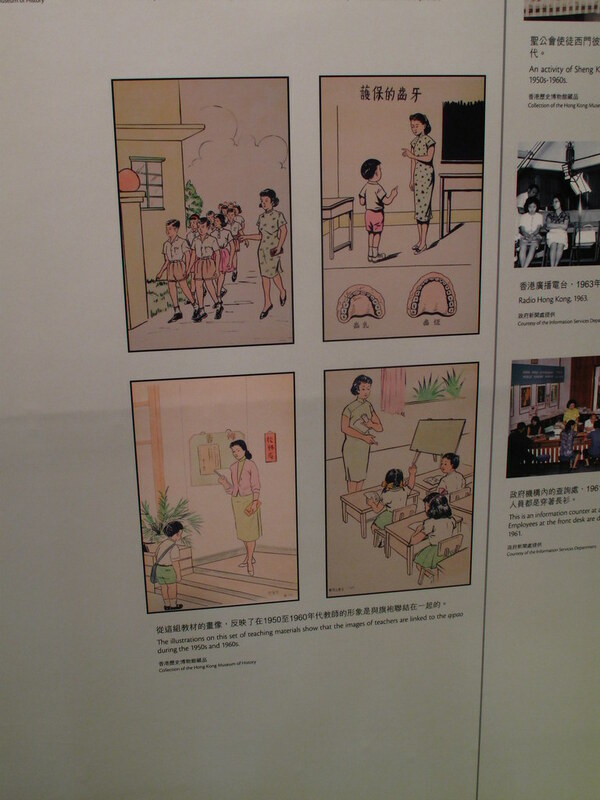 The illustrations on this set of teaching materials show that the images of teachers are linked to the qipao during the 1950s and 1960s. I must say that I really like the uniform of the Peihua School for Women. And they are wearing such pretty Mary Janes as well! Wow! That’s amazing. 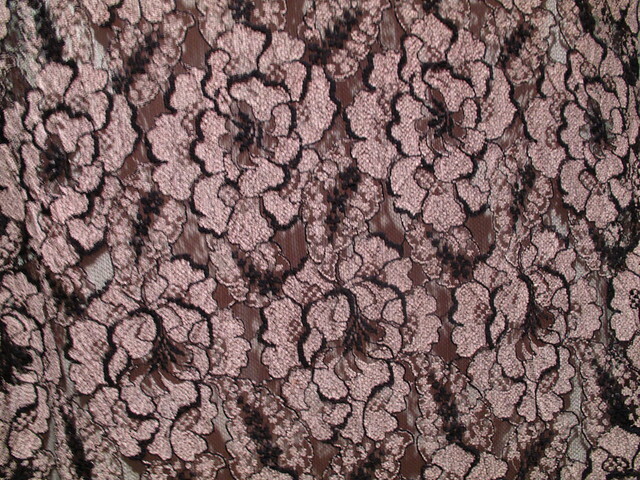 Opened my eyes to how timelessly chic the qipao is. dimsumdolly – The collar is very lovely too, not sure how practical it is for teenage girls though. Zee – No prob ! I like how in Hong Kong I see more women incorporating the qipao in their daily wear than say in Singapore/ Shanghai. Note to self: I should make an effort too. I’m so desperate for the book. There is a book right? wen ming xin zhuang – oh yes! I’ll wear that now, anyday. I love this exhibit, I wonder if it will travel to Shanghai. We desperately need a chic Chinese fashion exhibit. tommy – I don’t think there is a book on the exhibition… although I do wish this is one too. The exhibition presented such an overwhelming compilation of information it was impossible for me to absorb everything in just one visit. Sue Anne – Me too ! Not sure if it will tour as I didn’t see that mentioned at the exhibition. 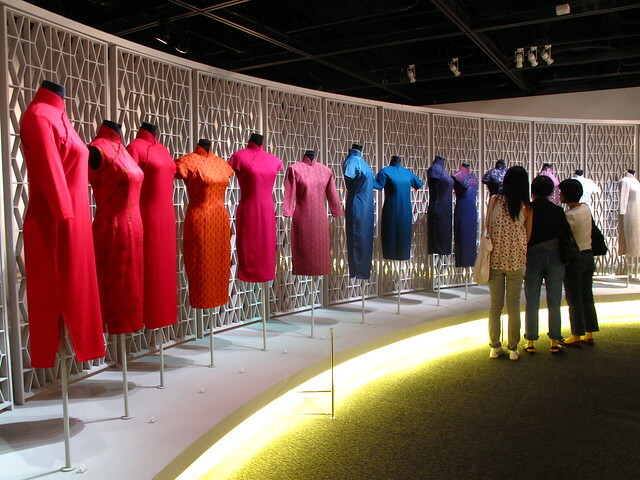 It’s such a well-researched exhibition it deserves to go to places, especially Shanghai, so intricately linked to the history of the qipao. beautiful and informative post! i’m also a fan of the original qipao (in its many forms). they’re famously constructed without darts and shoulder seams seen in western clothing… can’t understand why modern day tailors keep adding them in! 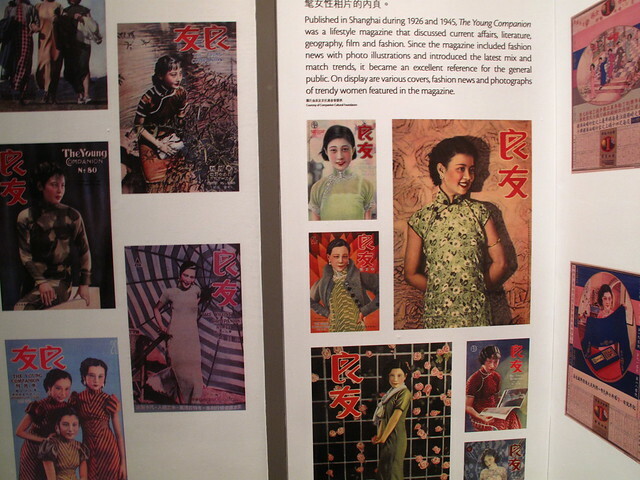 for those who are interested at these qipaos and pictures, books with many of the same pictures can be found in bookstores in mainland China. I had picked some up the last time I visited, but had to dig and ask around. you’re so lucky to be able to see this exhibit! did some of the qipao belong to Eileen Chang? so wish to see these qipaos in person! luz – Ah not too sure about the tailoring terminology, but if you’re referring to the same darts I’m thinking of, I’ve always thought the darts were a lovely detail. 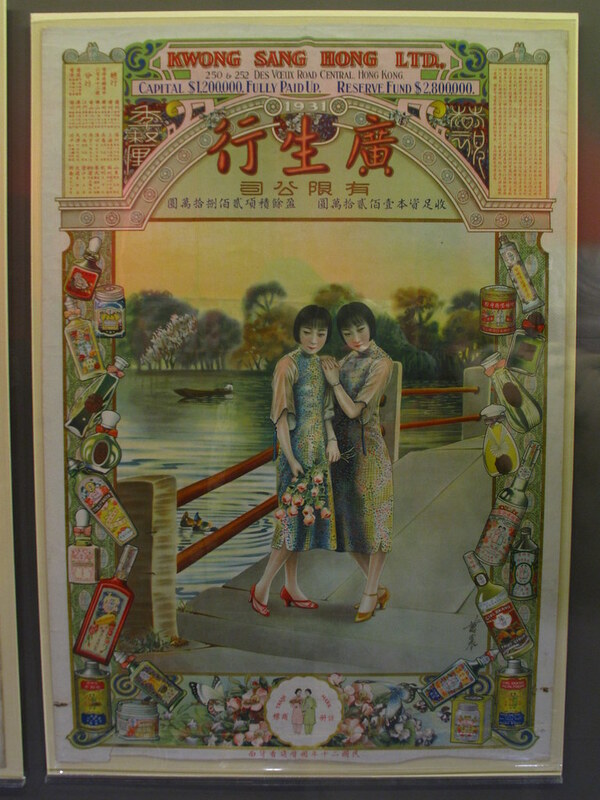 Don’t think Eileen Chang’s qipaos were exhibited, but among everything else, the selection of qipaos exhibited was already mind-boggling enough.